The tomatoes tasted like tomatoes, the bananas like bananas and the mandarins not like clementines. The good ones were in the West, the bad ones in the East. On television the program was announced and not the product placement. The chat room was the laundry room and was tweeted in the bedroom. The postman listened to "postman" and not to "Zalando". "Mobbing" was at most a buzzword for wiping up and "mail" a dialect word for a staple food to which quinoa is said today. Even the milk was healthy and not lactose intolerant. Monsanto wasn't Bavarian, Klagenfurt wasn't Cordoba, and Vienna has always been Chicago - the most livable city in the world. That, of course, calls for "change. Everything was good - but now everything has to get better! "Black-brown is the hazelnut, black-brown am I, too," the police horses sing from the songbook of their stable boys. The government is also showing its colours. For marketing reasons, they chose turquoise-blue, like the sea in the holiday dreams of Austrians, or the toilet blocks from advertising: Always clean and ultrapure. Other colours hardly occur any more. Some of the red ones are in the infrared range, others are blue at Viktor-Adler-Platz, Pilz is looking for the colour that the Greens have completely lost, and the pink ones are ... halt pink. The Ministry of the Interior orders new surveillance cameras, because everyone is keen on the latest electronics: Liberté, Egalité, Full-HD! Some problems solve themselves: thousands of students leave the university and apply for a job as Federal Chancellor. And soon we will be able to spend the whole year on summer holidays, because there is no end to summer. Are you getting sick of happiness? Then rest assured: not everything will be all right. After all, we are in Austria. On Mars, no life is possible either! Actors: Astrid Nowak, Alexandra Frankl, Joachim Brandl, Martin Buchgraber, Roman Frankl, Alexander Sedivy and Ernst G. Vokurek. The "Simpl" in the Wollzeile in the first district of Vienna. 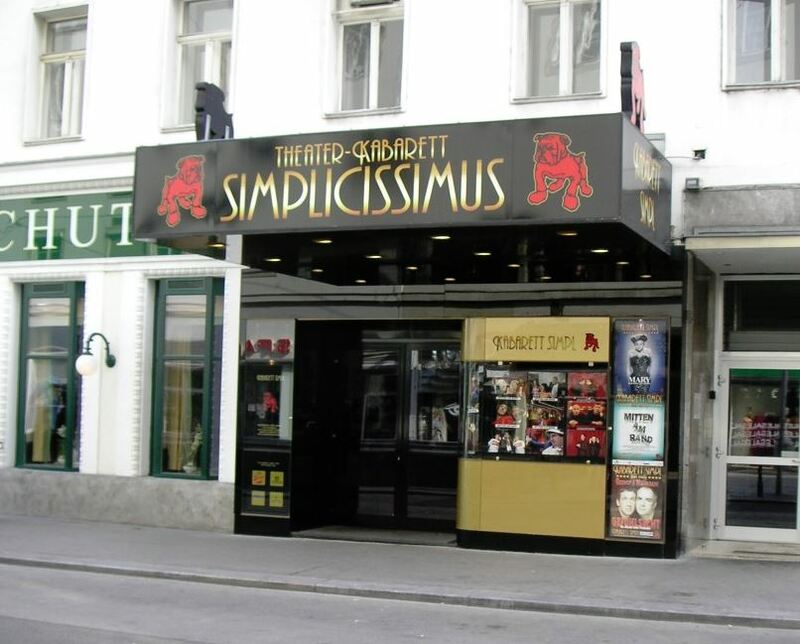 The Simpl is a cabaret opened in 1911 as beer cabaret Simplicissimus in Vienna-Innere Stadt. In the 1920s and 30s he produced cabaret greats such as Fritz Grünbaum and Karl Farkas. 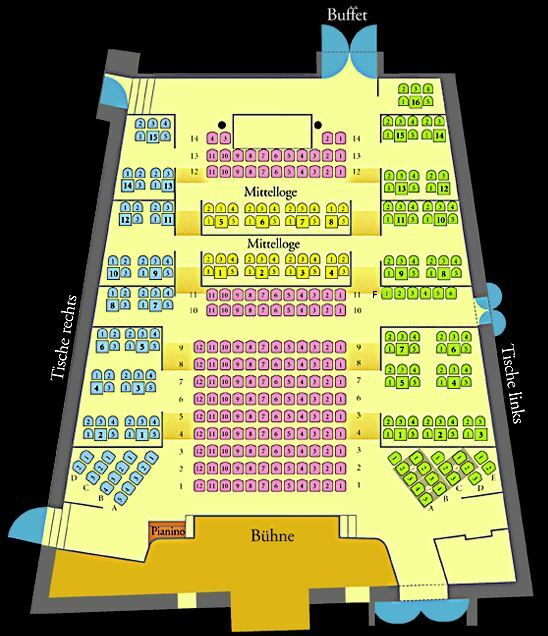 Until today it is one of the most successful and most important cabaret stages in Vienna. Name, lettering and the red bulldog refer to the Munich satirical magazine Simplicissimus, founded in 1896. Opened on 25 October 1911 as the beer cabaret Simplicissimus, it was soon referred to by the Viennese as "Der Simpl". A colourful programme of chansons, piano improvisations and artistic performances etc. made the theatre one of the most popular cellar theatres in Vienna.